Professional Removals Services in South West London. Do you need help moving out all your furniture and belongings to a new house in South West London SW? Thomsons Cleaning expert company offers professional, hassle free and efficient removals services to residential and commercial customers in the area. Our removal technicians are all thoroughly trained, skilled and vetted to help you with every single step of the process of moving out and then moving in. We can transport your belongings to any town in the United Kingdom and the EU. We also offer convenient and affordable and convenient storage for your things, if you need time to find a new place to live. If you want to find out how much the removal service will cost you, contact Thomsons Cleaning on this phone 020 3746 0000 or send us an online request. Our customer support operators are available 24/7, so call now! Thomsons Cleaning South West London SW have background trained, checked and skilled removal operators who can help you disassemble your furniture, pack it along with your belonging, load it safely into the van and transport it to your new home address. Then they will unload it, unpack and assemble the furniture in your new business or home premise. We can also keep your belonging in a nearby storage, until you need us to. We can move your things to any point the United Kingdom and the European Union at an cost-effective price, and without a risk for your belongings. Our company can also provide quick and efficient office removals. We can re-locate your IT and all of your files and furniture during the night, during a bank holiday or over the weekend. This will allow for your business flow to go uninterrupted, and so you don’t miss precious work time for moving. Thomsons Cleaning South West London SW technicians are experienced in hoisting big pieces of furniture, like pianos from windows and moving them safely to a new location. We are also experienced to move your precious art items and paintings for you. Our services include delivering goods to customers for stores which have no own transportation. We can also pick up items you have purchased and ordered online for you. Our other maintenance and cleaning services can be combined with the removals service. You can order an end of tenancy cleaning for after you move out, so that you get your tenancy bond back. By combining several of our services you will get big discounts! Thomsons Cleaning is well known among the private residents and the local businesses of South West London SW as a reliable, fully insured and efficient expert removals company. 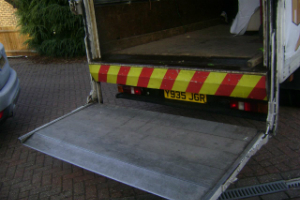 We will help you with every single step of the removals procedures, or we can offer you just partial moving services, such as a man and van service. We offer a higher quality and safe removals service to save you the hassle, the energy and time as well as the money required to organise a office or home moving. If you want to book our removals services in South West London SW, all you have to do is contact our 24/7 customer service operators. Call 020 3746 0000 or send us an online booking request right away. Within two hours you will receive a written confirmation via e-mail and text message. There is no deposit for booking. The price is fixed, so there are no hidden taxes either. If you book more than one of our services, we will give you a serious discount. Also, if you are a regular customer, a landlord, estate agency or if you book the service early in time, we will offer you our preferential prices! Book now, and let us help you move out hassle free and risk free.